When you're in the hospital with your child who is tube fed through the stomach, you likely have different kinds of support that don’t exist at home. It might be the convenience of answering your medical questions face to face with providers or an opportunity to get hands on teaching. Equally appreciated may be emotional support and feeling of solidarity from other parents in the hospital that can relate to your experience. Or it might just be the invaluable extra set of hands to help with your child’s medical care needs, such as changing a g-tube on a curious and wiggly little one! Emily, owner of Little Birch, shares her perspective as mother of a "tubie." As a child life specialist, a huge part of my role in the hospital included supporting children and families through hundreds of medical procedures. If you’re unfamiliar, child life specialists provide psychosocial support through medical education, preparation, distraction and coping strategies, sibling support, and much more. Today, in partnership with Little Birch, I’m laying out some strategies to help support you when your child’s g-tube comes out, whether by routine or unexpectedly! Important: If your child’s g-tube comes out for the first time within the first 3 months of placement, please contact your medical provider immediately or go to the emergency room. The following list of strategies is not to be considered medical advice. It is intended to help reduce stress associated with changing a young child’s g-tube button only if you have been given clearance and proper training and education from your child’s medical team. By continuing to read this post, you are in agreement to the terms of service and disclosure set forth by Dose of Play and Little Birch. Be prepared. Keep all items needed for the G-tube button change on a tray. Open all wrappers and packaging ahead of time. Examples would include opening gauze and lubricants ahead of time so your hands are free for your tubie. Keep an instructional cheat sheet with your supplies to help stay calm and confident as you go through the steps to change/remedy the unexpected G-tube pull. You can check out Emily’s index card in her extremely helpful post, "Confidence for Caregivers." Try propping your little one on a slight incline. As little ones become toddlers, you may notice they don't seem to like to lay flat and miss out on any action. It is also believed that lying flat can leave young children feeling vulnerable. Propping them up may make them more cooperative and less anxious to break away. Practice on a doll/stuffed animal. 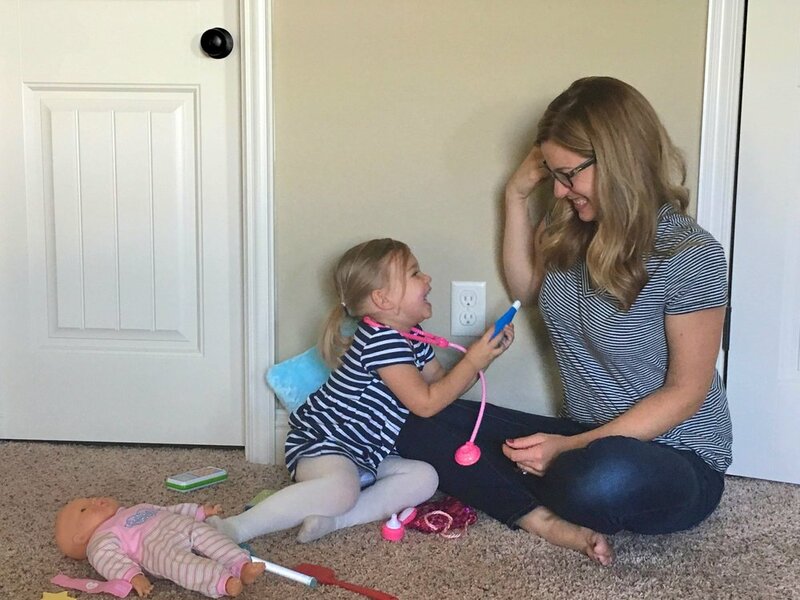 While they taught you how to do the dressing change in the hospital or clinic, practicing your technique will improve efficiency Reducing time while not compromising safety is key with a squirmy little one. It can help you tackle that surprise factor-induced stress. While I’m on the subject of items for the little..if he wants to grab items that will be in your hand, have an extra one he can play with available, such as an extra syringe. Keep it saved away in your supplies. I have colored the inside of our extra real syringes using permanent marker (pictured below), which will help ensure you don’t mix up sterile ones. 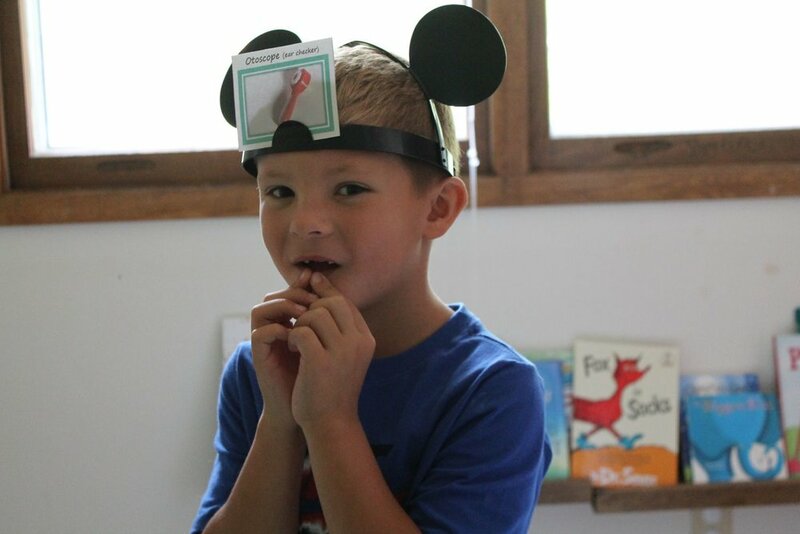 Another distraction tip is to use your voice or mouth to make silly unexpected sounds and expressions that keep them entertained for added seconds. Distract little one with something enticing to pull at other than his tube: **Bedazzle an old sock with items for the child to pull at. Items attached will be things that you don’t have to worry about baby choking on so you can focus at the task at hand. Test out it’s efficacy during a diaper change - if little one doesn’t go for an item - switch it out to match his interests then hide it away so it stays interesting when the time comes! Some ideas are colorful large straws poking out, those spiral key bracelets, chunky ribbon, card from a deck, large syringe, NYE noisemaker for you, plastic spoon, kazoo, etc. To gain confidence, start by choosing one or two items from this list of ideas to help distract your little one. Try adding one or two more ideas with each button change (every 6-8 weeks or when needed) and you and your little one will seem to be part of a team. Keep up the good work and best of luck! For adorable adaptable clothing pieces and great tubie tips, please follow Little Birch Shop.